Have you ever seen an advertisement for a product claiming to be sustainable? 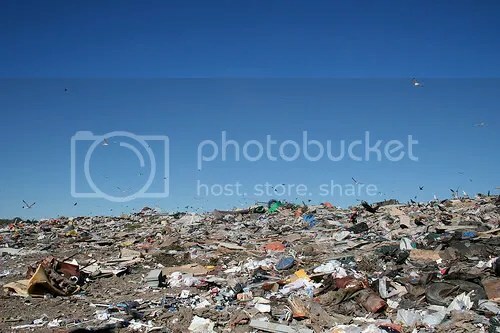 Has an advertisement like the one below (by Nestle) ever convinced you that a product is good for the environment? As I heard today on Think Out Loud, an advertising organization called EnviroMedia Social Marketing and the University of Oregon have created a website called EnviroMedia Greenwashing Index to provide a forum for people – you the consumer – to compile and discuss these types of advertisements. It’s greenwashing when a company or organization spends more time and money claiming to be “green” through advertising and marketing than actually implementing business practices that minimize environmental impact. A simple search for the keyword water shows several ads that dupe the consumer into thinking a product is sustainable. For example, look at the ad below for cotton – the catch line is “Cotton: the environmentally friendly fiber.” Yet cotton is a water intensive crop often grown in water scarce locations. So do you think cotton is environmentally sustainable? Register on the website to comment on this ad or upload more ads that you think have been “greenwashed”. A friend asked me the other day, “did you know that it takes about quarter of a bottle of oil to produce one bottle of water?” I didn’t, and he was right. His simple statement, and I found myself pondering this fact. To be honest, just thinking about the concept of a quarter of a bottle of oil in a beverage container disgusted me. And it further solidified my aversion to plastic bottles. The production of plastic PET (Polyethylene terephthalate) bottles is an oil (natural gas and petroleum) intensive process. The Pacific Institute estimates the equivalent of 17 million barrels of oil were required to produce 31.2 billion liters of water in 2006. This figure does not include the immense amount of oil used to transport bottled water around the world. (‘Fiji Water‘, oh my). 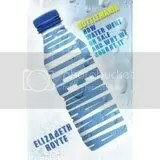 A new book, Bottlemania by Elizabeth Royt, will focus on the complications of bottled water in today’s society. It will be available on May 13, 2008. For more information on bottled water, see the new Water Page on AlterNet. Tara Lohan, managing editor of AlterNet, has written several articles on the negative implications of bottled water in our world including This Year Give Up Bottle Water for Lent and What Would You Say to Coke’s Executives? (a review of ” a pioneering campaign that gives new meaning to message in a bottle“). See the Water Books Page at the top of this web-log for more books on water. Yes, I am guilty as charged. I had a thing for bottled water. Disgusted by the thought of chlorine and offended by the intrusion of fluoride, bottled water always seemed the better alternative. Fresher, convenient, crisp, and cool… or was it all in my head? Increasingly individuals, especially people in the United States, are drinking bottled water. The problem is that bottled water has less stringent water-quality standards than tap water, and the bottles are amassing plastics found in our landfills, oceans, waterways, and on our planet. Today, I ran across a campaign entitled Think Outside The Bottle sponsored by numerous organizations across the United States (see the web-page). This is the final straw, so to say. I am finished, through with this farce, this fairytale, conceived by the media that bottled water is better. No more bottled water for me. It is time to take the pledge, and you should, as well. Take the Think Outside The Bottle pledge here. Photo courtesy of D’Arcy Norman on flickr. National Geographic and DOW Chemical Company Water Map: a diametric statement? How Can Such a Wet Planet Be So Short On Clean, Fresh Water? Still we cannot fail to appreciate the absurdity of the world’s second-largest manufacturer of chemical and plastics producing such media campaigns. Before closing, let us take a few moments to review a few DOW Chemical Company’s environmental problems: 1) gas leak at Union Carbide in Bhopal, India, 2) far-reaching dioxin contamination, and 3) production and distribution of harmful pesticides. If you would like to learn more about DOW’s activities resulting in environmental degradation, see this publication Dow Chemical: Risks for Investors – report from Innovest Strategic Value Advisors published by The Innovesters Group and The Dow Accountability Network.